End in sight for Moore's Law? Gordon Moore, co-founder of Intel and creator of Moore's Law, has predicted the demise of the technology trend he spotted more than 40 years ago. Moore's Law states that the number of transistors on a computer chip doubles roughly every two years. This has been the case from 1965, when Moore devised his theory, to the present day. Now Moore has said it is likely to draw to a close in 10 years or so, Reuters reports. With features on chips becoming so small these days, chip makers like Intel are running out of space to add more transistors - the tiny switches that process the ones and zeros that digital computing is based on. In modern processors, the number of transistors is in the hundreds of millions. "Another decade, a decade and a half, I think we'll hit something fairly fundamental [that will make Moore's Law invalid]," Moore told audiences at this year's Intel Development Forum in San Francisco. 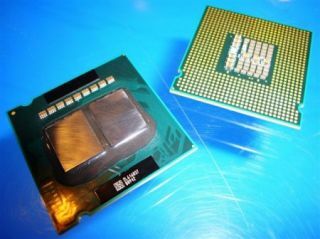 Back in January, Intel announced that it would be using a hafnium-based high-k material in its chipmaking processes. It called high-k the biggest breakthrough in the basic building blocks of semiconductors in more than 40 years.